Youi’s former boss Frank Costigan, who has left for a position at QBE. YOUI has warned about the car-insurance market, saying competition is putting pressure on prices and the industry has lost money on covering vehicles. 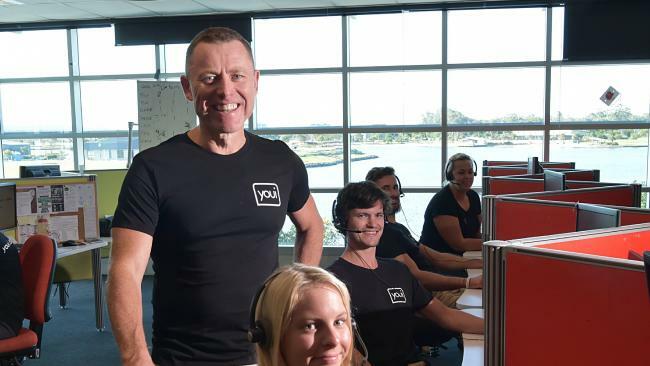 The comments came as Sunshine Coast-based Youi's growth in premiums again stagnated for the year, even as big rivals continued to bulk up. But Youi, which launched ten years ago and now has 1 million policies, also said "normalised" profitability in its Australian operations had improved from $67 million to $70 million. The comments came in accounts lodged by Youi's parent organisation, South African-based Outsurance. A big boost to profitability came from lower levels of claims. Its claims ratio - measuring claims versus premiums reaped - dropped from 55.5 per cent to 53.2 per cent. Youi attributed this to fine weather conditions during the year and becoming better at charging premiums based on risk. Still, the accounts also noted that Youi has an increasing risk if wild weather strikes southeast Queensland - that region represents almost 22 per cent of Youi's total Australian insurance coverage. Youi also warned of problems with vehicle cover. "The competitive landscape of the motor-insurance industry continues to experience relatively soft pricing," the accounts said. The cost of underwriting motor insurance for the industry exceeded premiums collected in the past 12 months, Youi said. Gross written premiums, measuring changes in customer numbers and premiums, dipped 0.6 per cent from $664 million to $660 million. Youi had notched rapid growth in its start-up years but UBS analysts noted this was the second year of decline. UBS pointed out IAG and Suncorp had lifted their growth by 5.1 per cent and 4.7 per cent respectively. They estimated Youi's market share of personal insurance had dipped slightly to 3.6 per cent. Youi flagged more attempts at rebooting growth - a strategy underway when new chief executive Frank Costigan suddenly resigned recently. His replacement announced last Friday is Hugo Schreuder, founding CEO of Youi. A key market for growth would be commercial insurance, the accounts said. Youi highlighted that Financial Ombudsman Service statistics indicated service standards were better than industry - the chance of a customer dispute reaching the ombudsman was lower than industry averages. Yet Youi faces a grilling in the current royal commission into financial services. It has already admitted to problems such as its sales scandal of 2016, where it refunded $14,000 to 102 customers who were charged without consent. Youi also had told the commission of overcollecting $639,000 for a special fire-services levy in Victoria in 2011 and 2012, failing to send renewal notices within 14 days of a policy expiring, and mishandling catastrophe claims between May 2010 and February 2011.